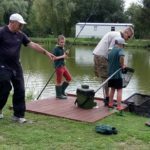 On Tuesday 15th August, the Cub Scouts from the 2nd Reepham Scout Group enjoyed a trip to Reepham Fishery for a fishing taster session. They learnt about the equipment, how to use it correctly and how to bait a hook with maggots. They then set about fishing. 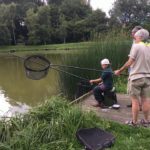 Once caught all the fish were put in the keep net, so at the end of the afternoon they could count the number of fish caught, with the prize haul being over 50. All fish were thrown back into the lake. Thanks to Reepham Fishery for putting on a great afternoon for the Cubs. Enter your name and email address to get our news sent directly to your inbox!